The James Webb Space Telescope (JWST) is the successor to the Hubble Space Telescope, and it will be almost three times the size of Hubble. 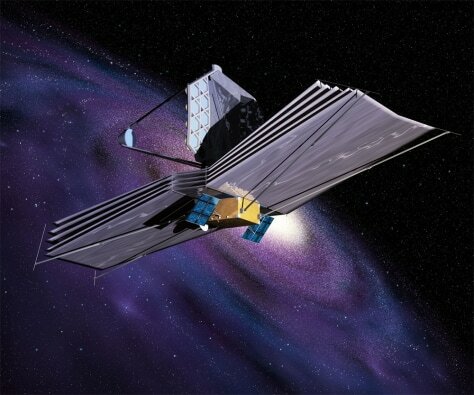 JWST has been designed to work best at infrared wavelengths. This will allow it to study the very distant universe, looking for the first stars and galaxies that ever emerged.